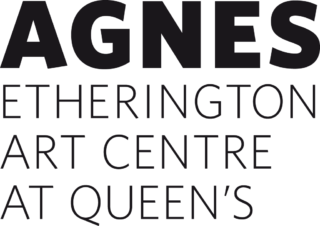 Agnes Etherington Art Centre is a research‐intensive art museum located on the historic campus of Queen’s University. It illuminates the great artistic traditions of the past and the innovations of the present through year-round programs of exhibitions and outreach activities staged across eight beautiful galleries, the Biéler Studio, and assorted public spaces including the gracious period rooms of the historic Etherington House. As a space of display, innovation and exchange, the Agnes is an experiential learning space for diverse disciplines at Queen’s, and the public gallery for Kingston region. Its superb collections—numbering over 17,000 works―include cutting edge contemporary art and fine examples of Canadian historical art, Indigenous art and artifacts, and material culture including an unusual collection of Canadian Historical Dress and the Lang Collection of African Art. The Bader Collection, focusing on Rembrandt and his school, centres on more than 200 paintings from the Dutch Golden Age, including one portrait and two beautiful character studies by Rembrandt.